Add the chicken broth to a small saucepan and bring to a boil. Add the grits, stir and cook according to the package. Add the butter to a large sauté pan and melt over high heat. Add the shrimp and cook for 1 - 2 minutes per side. Add the garlic and Hot Sauce and cook for 30 seconds more. Remove the pan from the heat and stir in the lemon zest, juice and parsley. 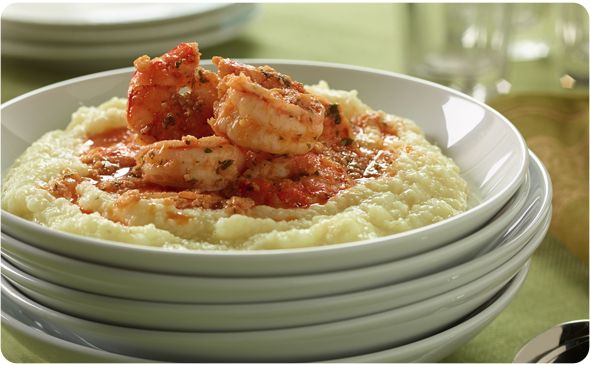 Divide the grits between 4 bowls and ladle the shrimp over the top of the grits, butter sauce too. Serve immediately.